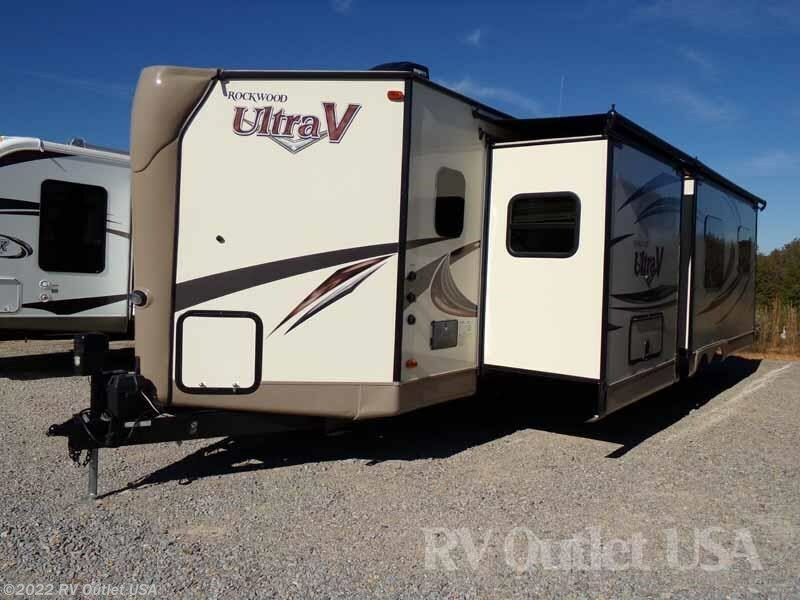 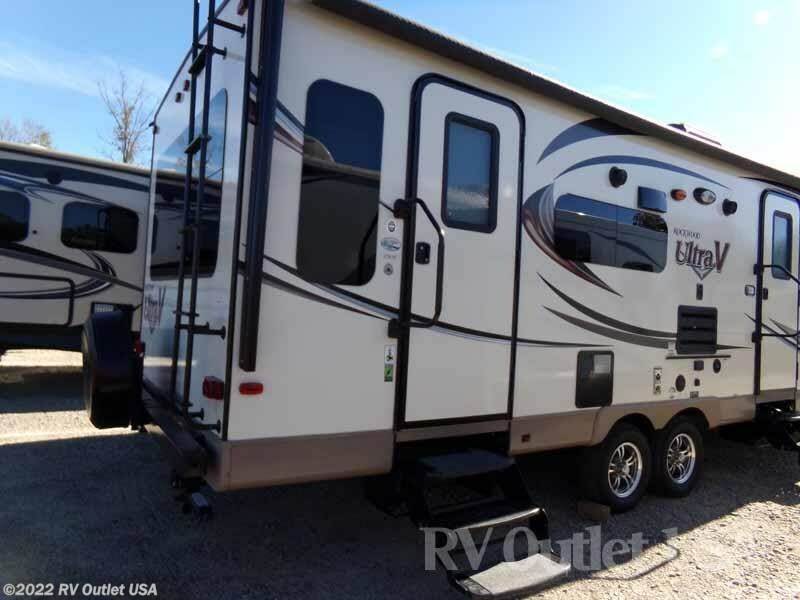 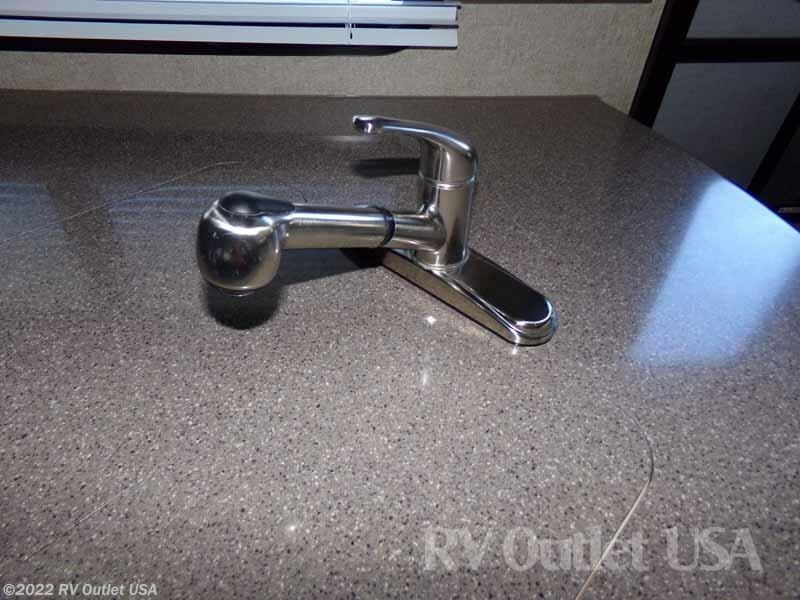 If you're in the market for a very nice super ultra light travel trailer with a ton of interior room that can be pulled by any half ton pick up truck or SUV then you really need to look at this Rockwood. 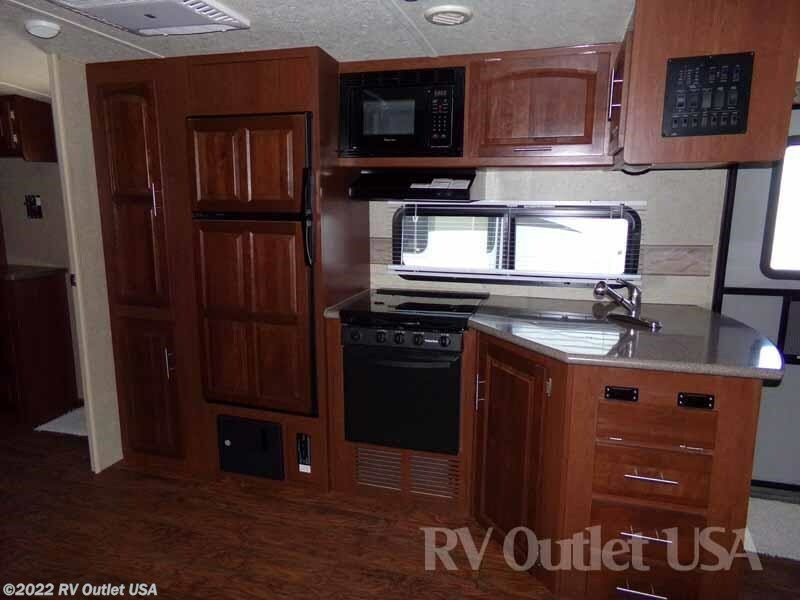 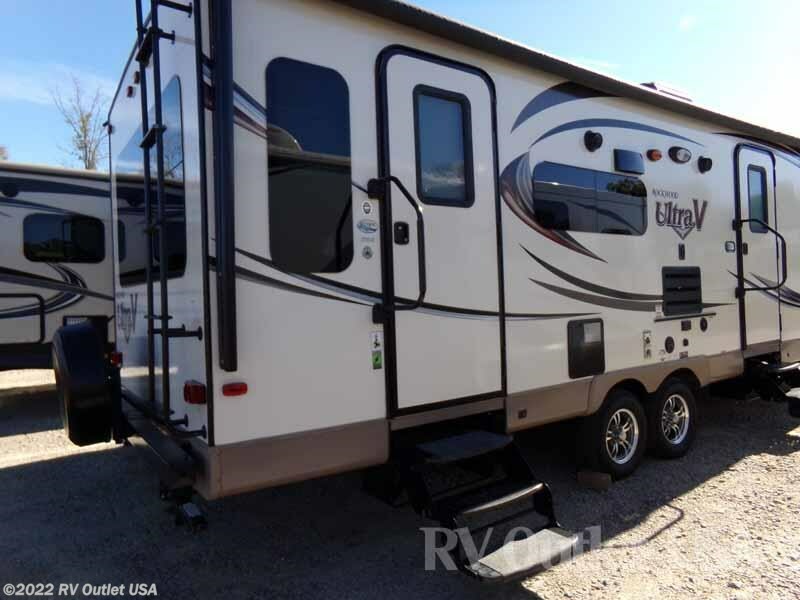 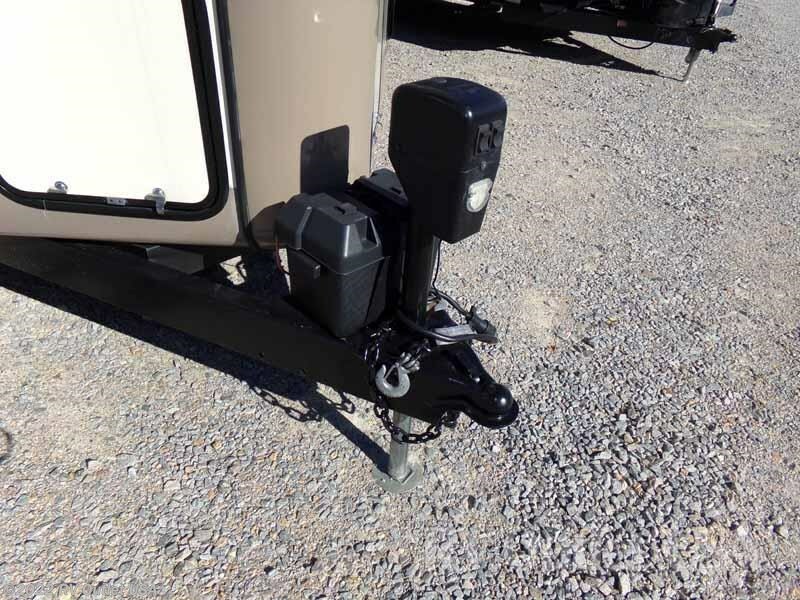 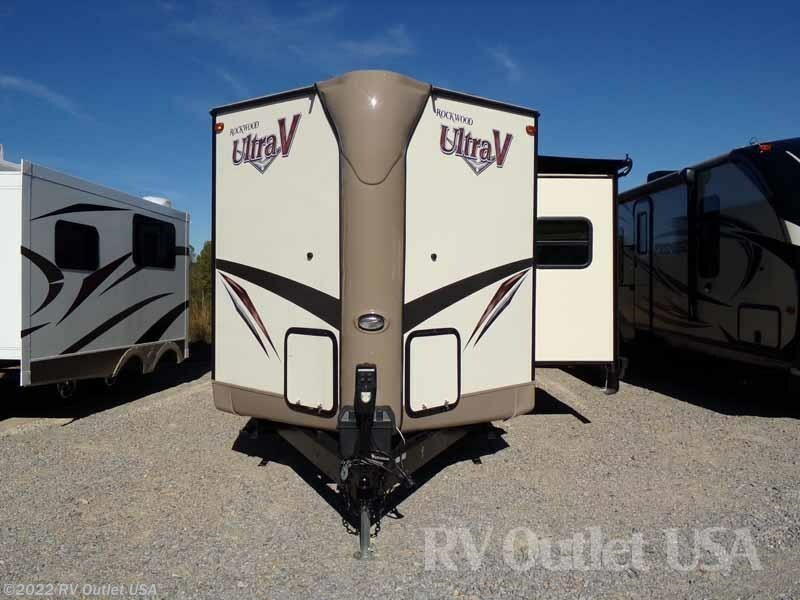 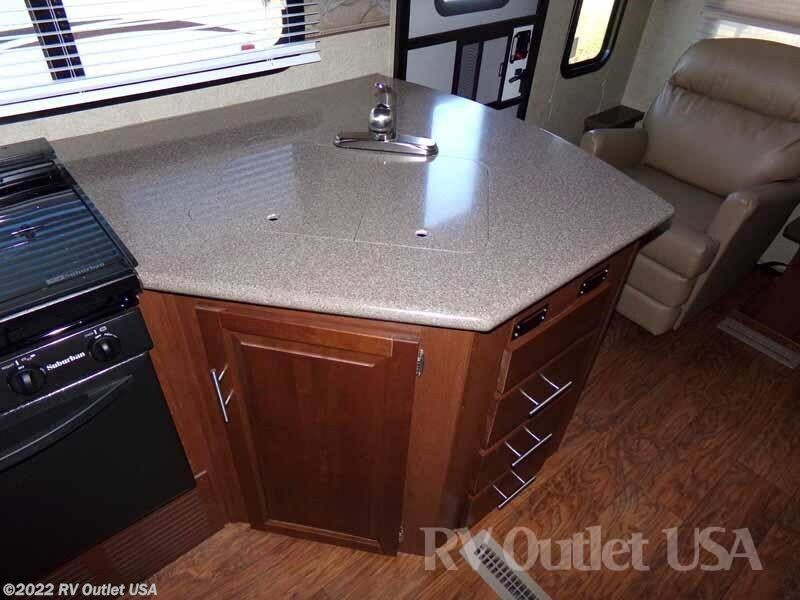 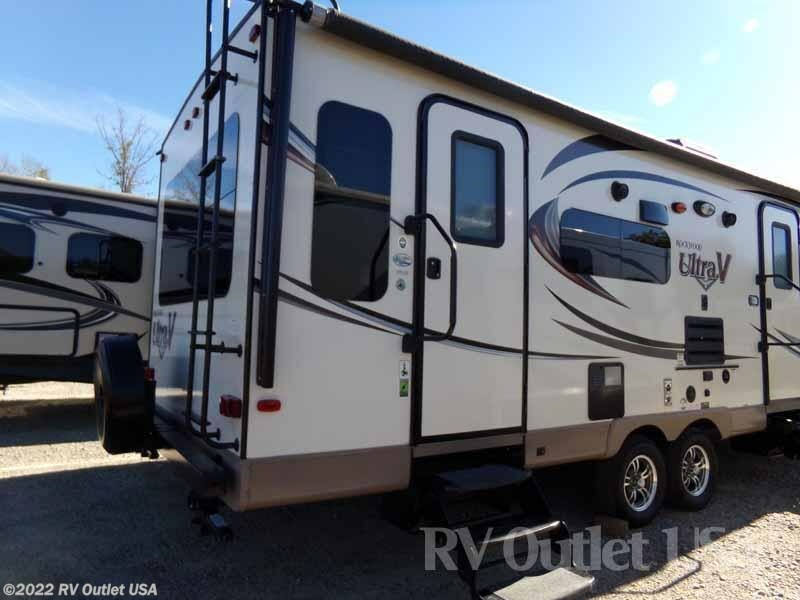 This 2016 Rockwood 2715VS V-front that we just took in trade weighs only 6,504 pounds and has a ton of options. 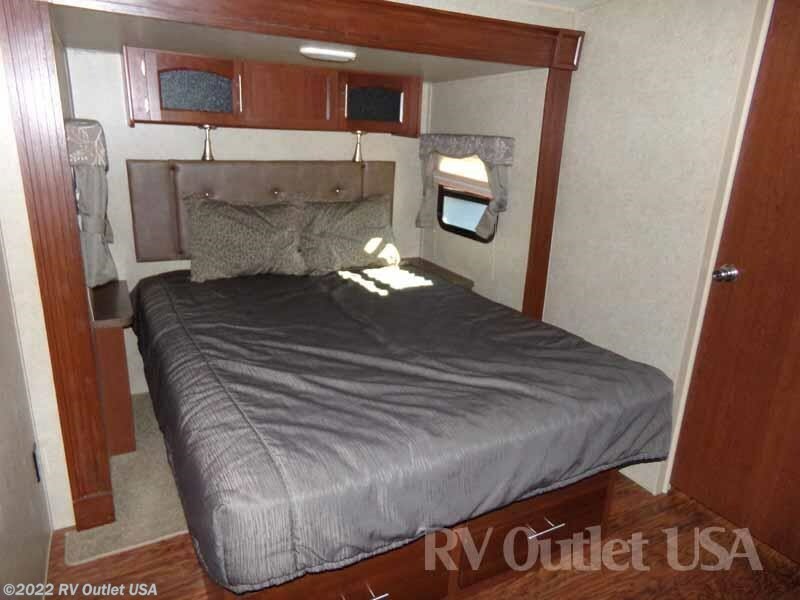 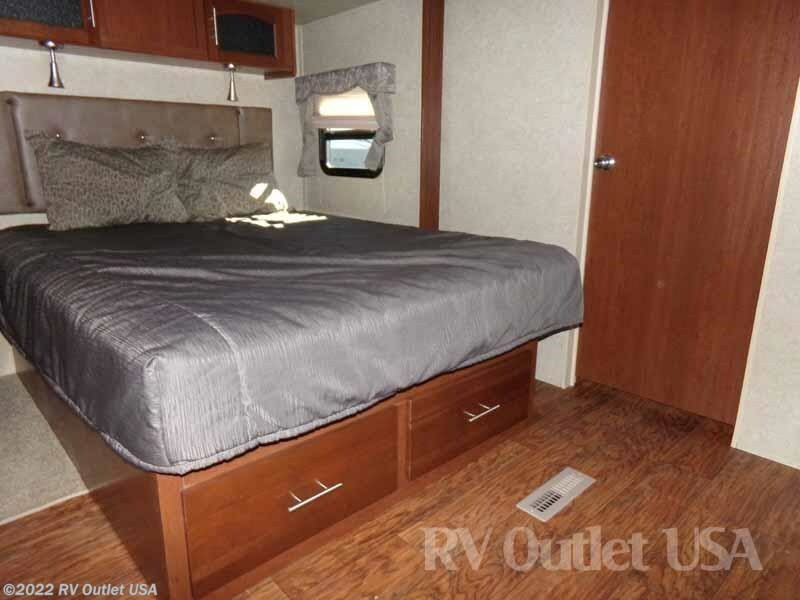 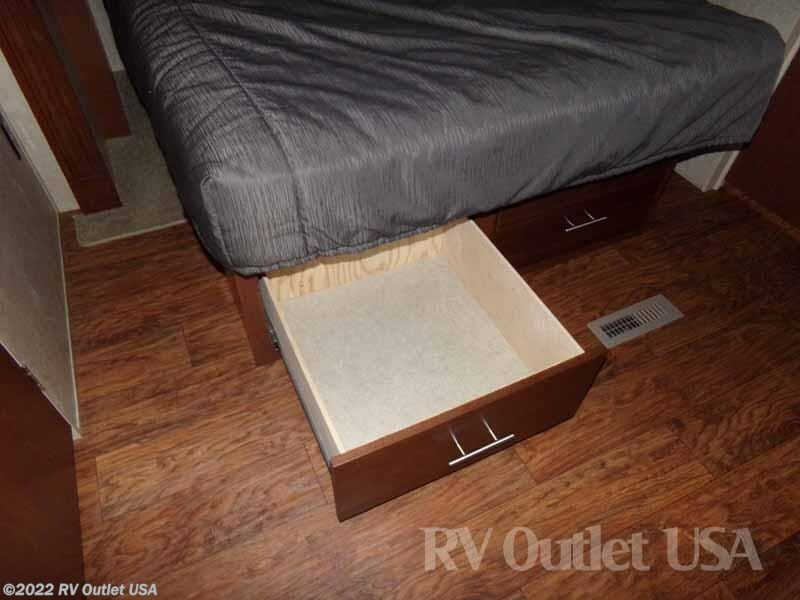 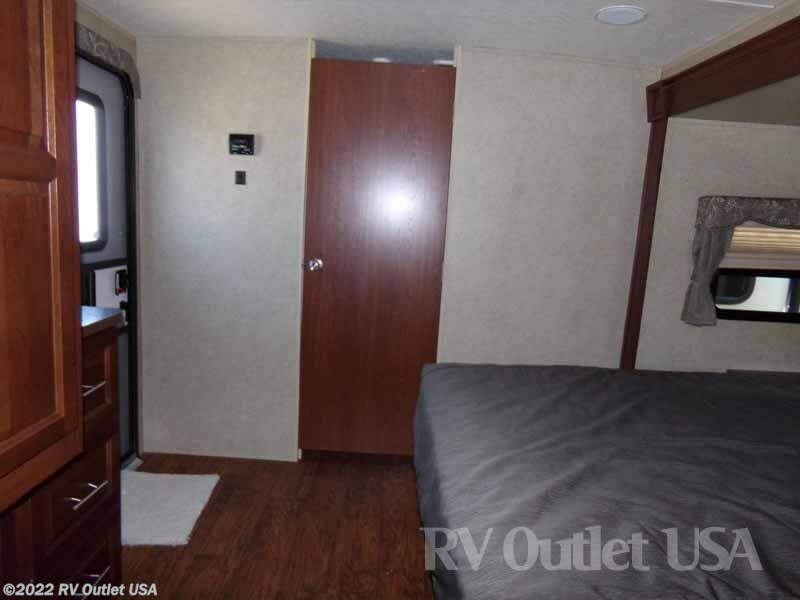 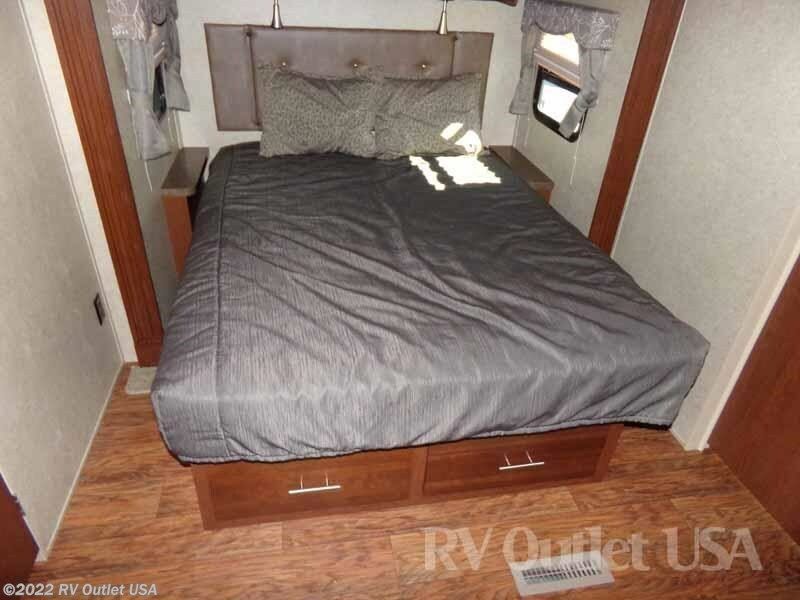 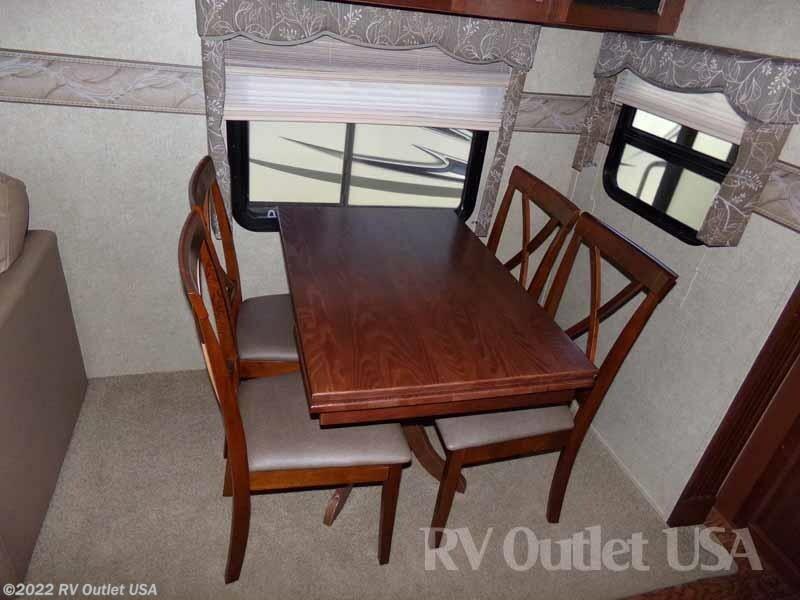 Starting in the front of the coach, it has a queen bed slide with underneath storage, overhead cabinets, and a large wardrobe at the foot of the bed. 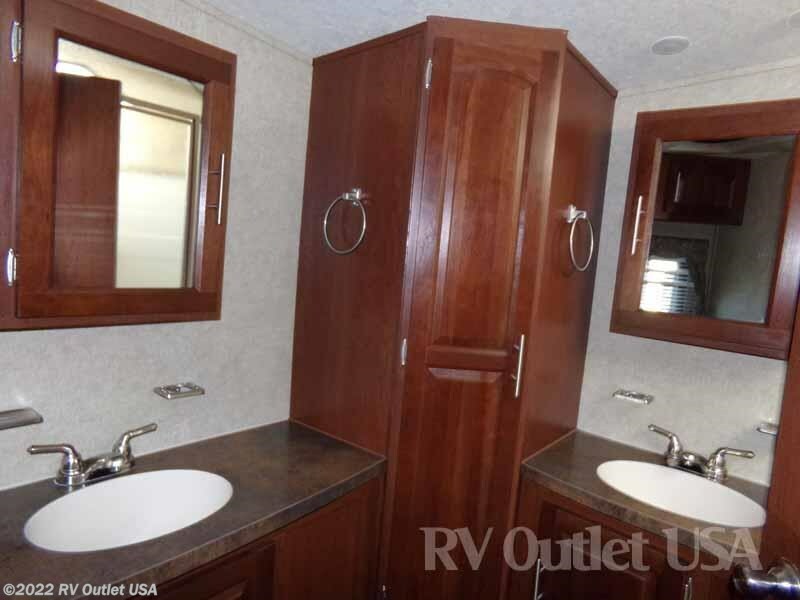 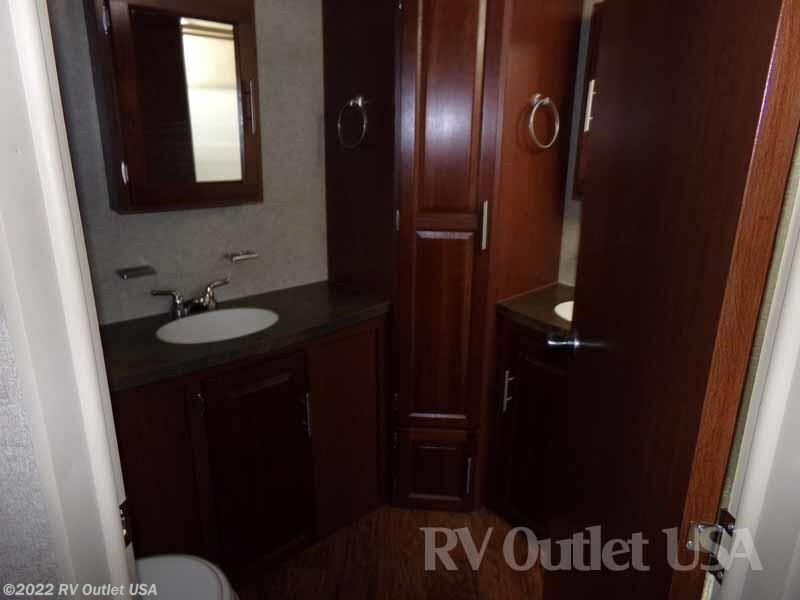 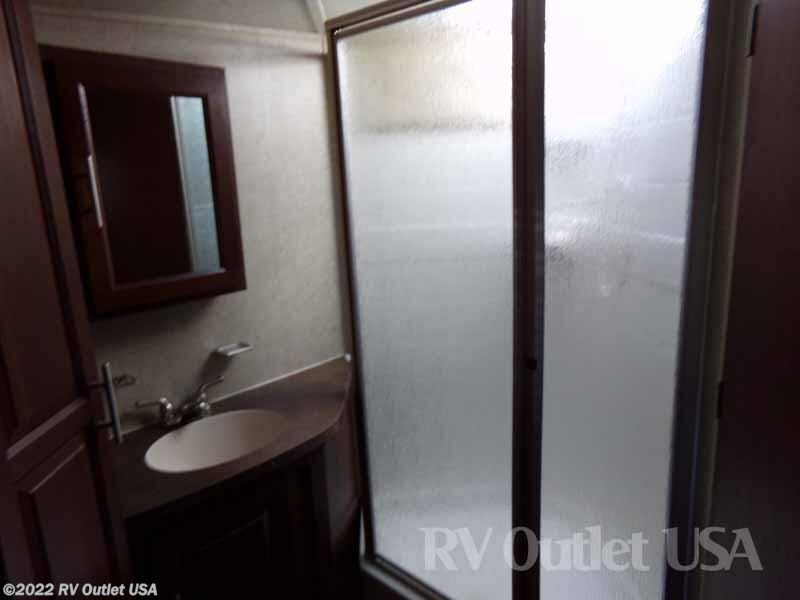 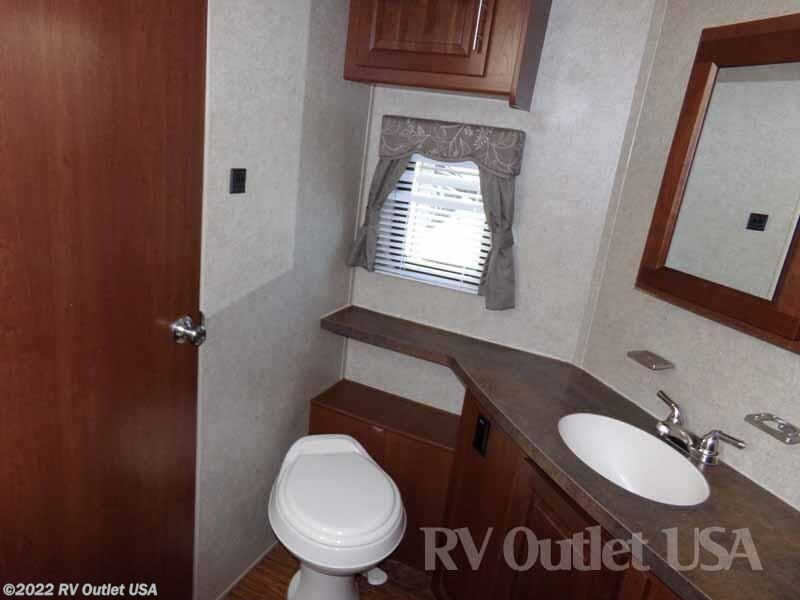 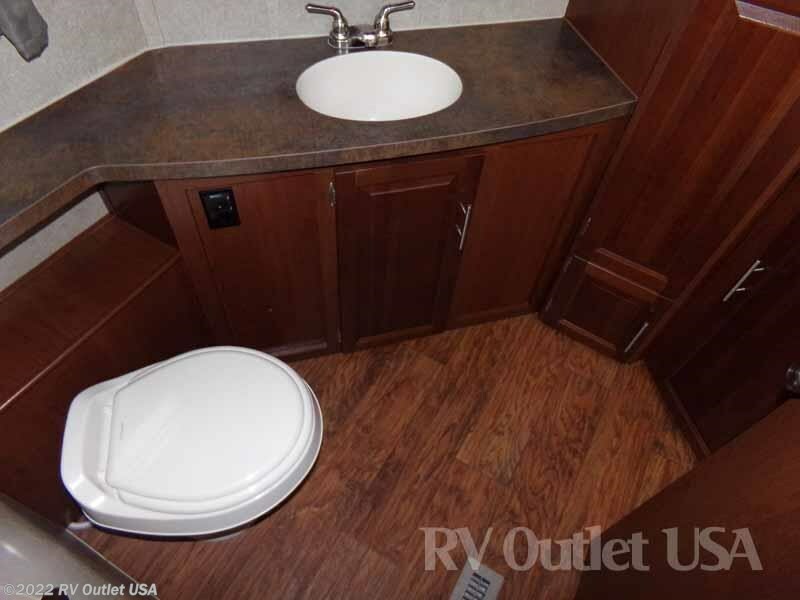 This coach has a huge front bathroom with a foot flush toilet, two his & her sinks with underneath storage, and a large angle shower with glass surround. 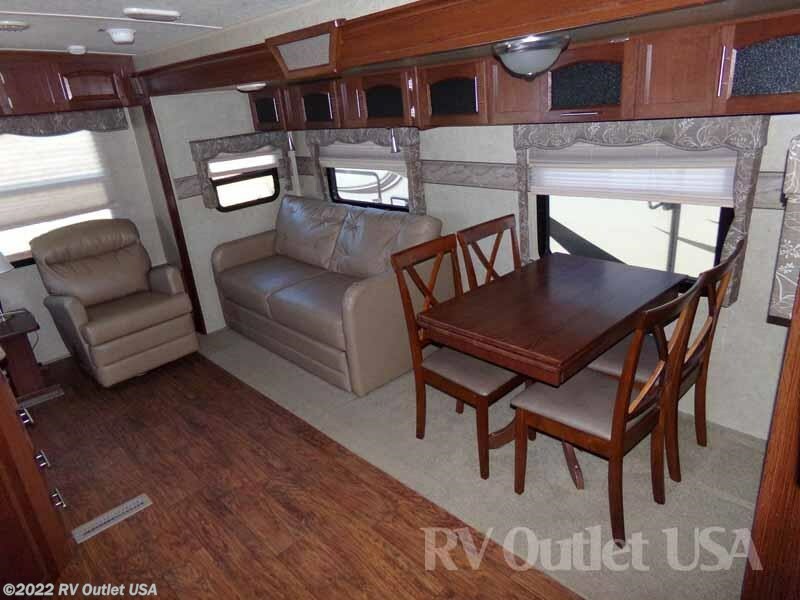 Walking into the main living area, this coach has a large slide only off door side with a freestanding dinette and four chairs. 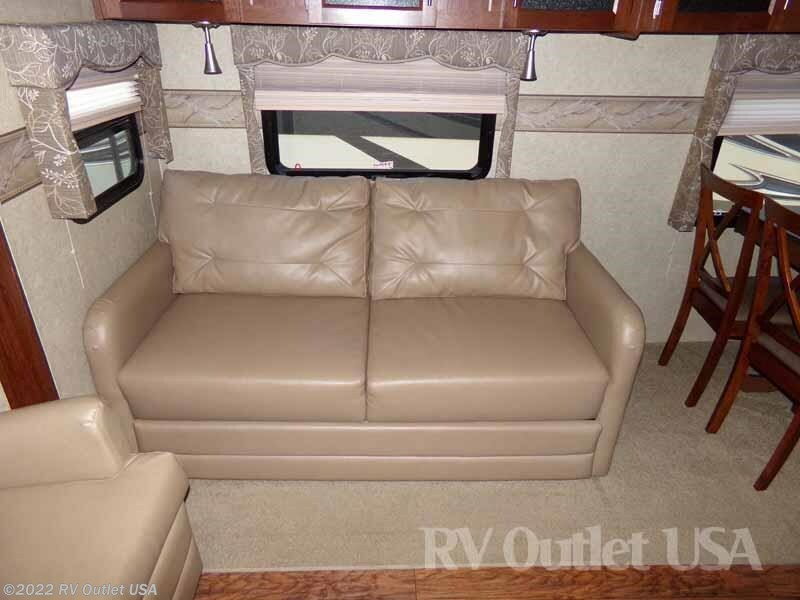 It also has a tri-fold hide a bed sleeper sofa which allows you to sleep up to four people. 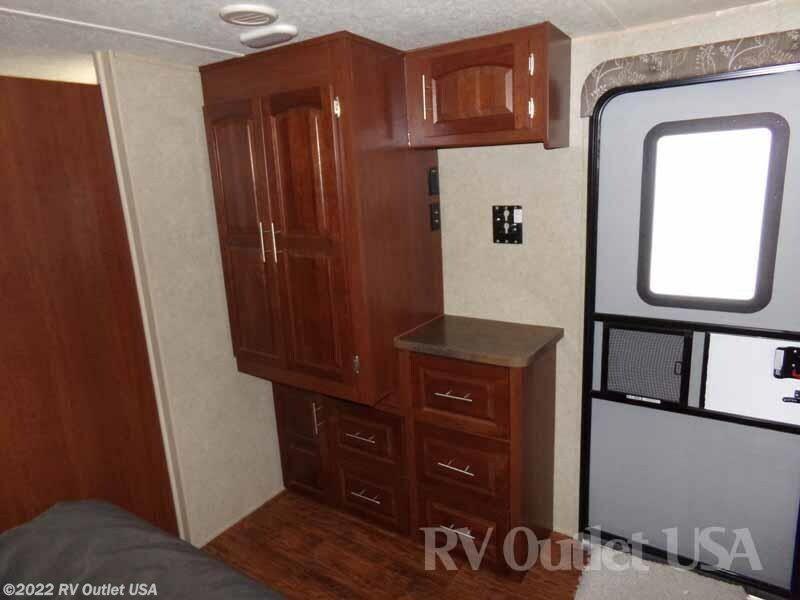 Across from the slide out is a full galley kitchen with several cabinets and drawers for storage. 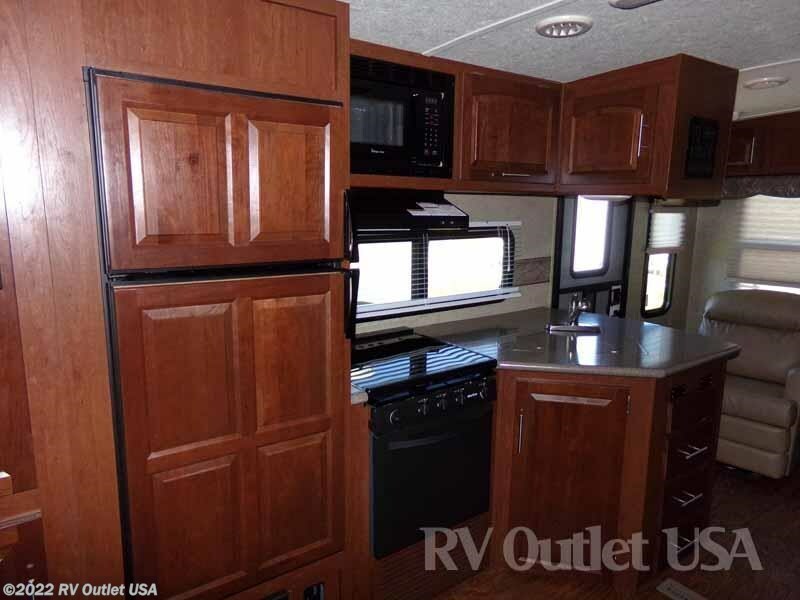 It has solid surface counter tops, a pullout sprayer in the kitchen, the new 22 inch Suburban high output cook top with glass cover and built-in oven, an overhead microwave with an exhaust hood, and has a 15k ducted roof air conditioner. 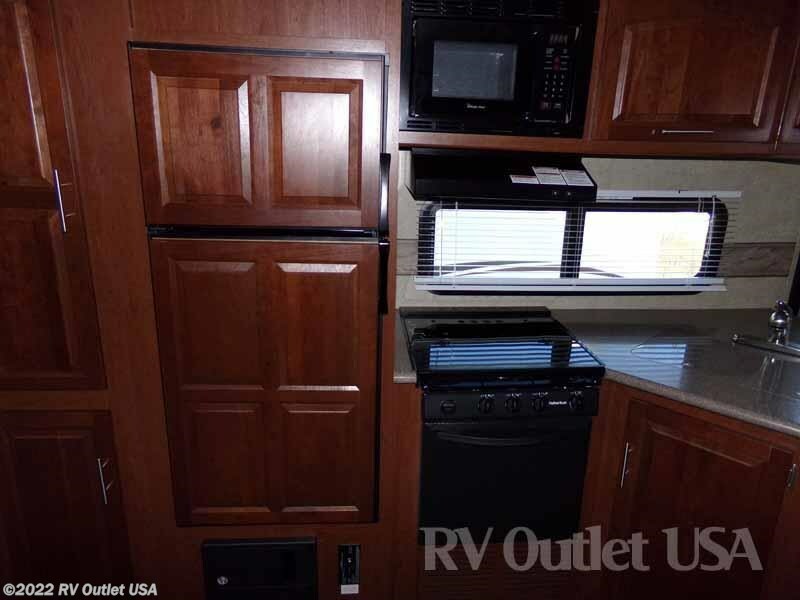 The command center which has all your light switches and your slideout switches, also has a large food pantry. 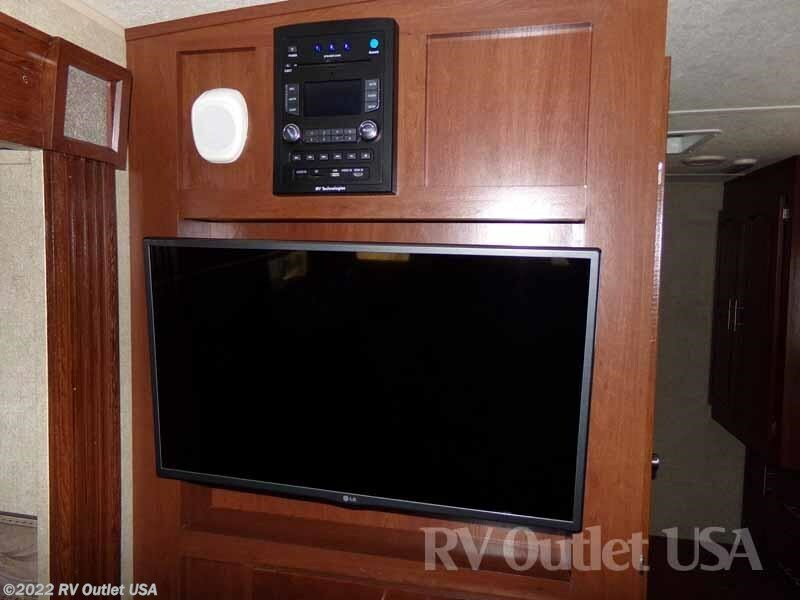 The entertainment center has a 32 inch TV, with an AM/FM CD/DVD player, and storage below that. 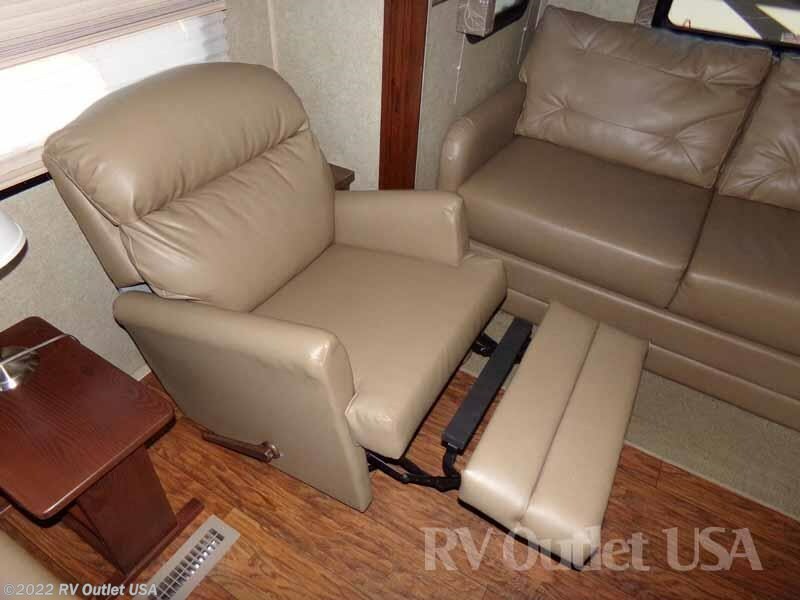 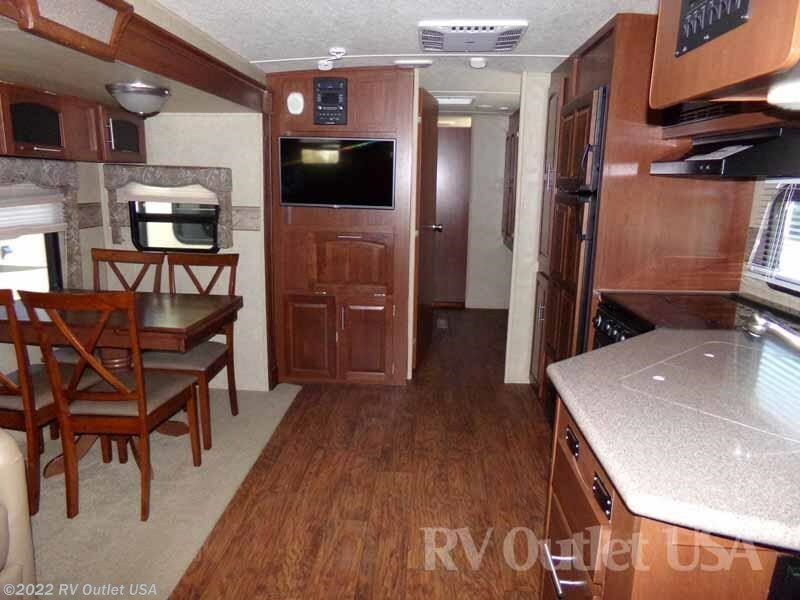 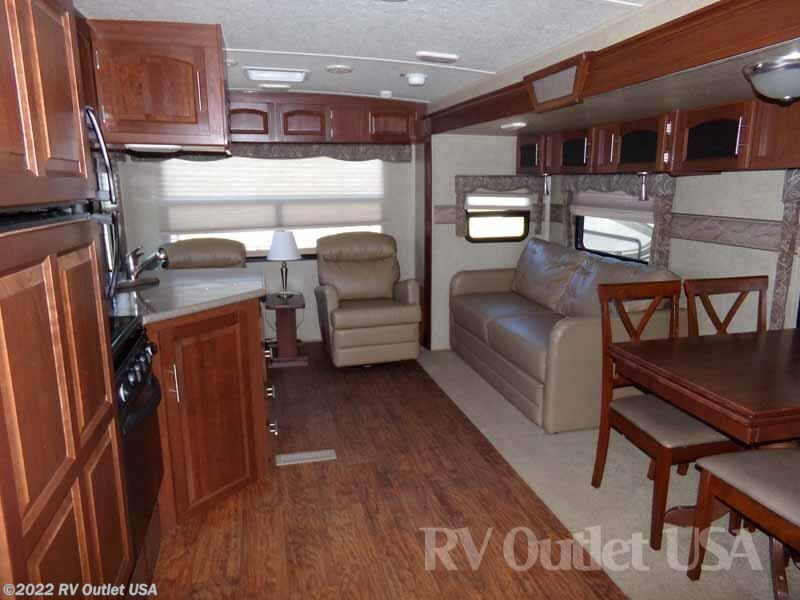 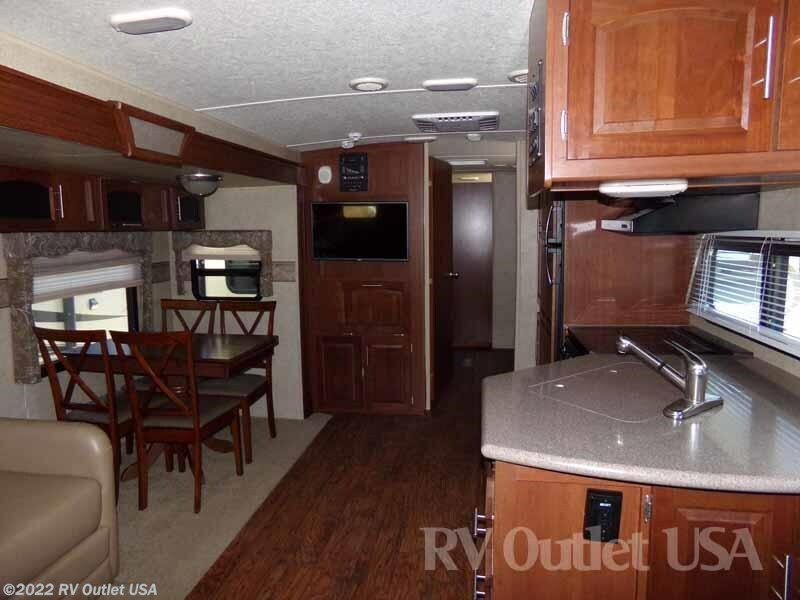 In the rear the coach has the upgraded rocker recliners, the crown ceiling, day & night shades, the wood look floor, cherry cabinetry, and again is in very good condition. 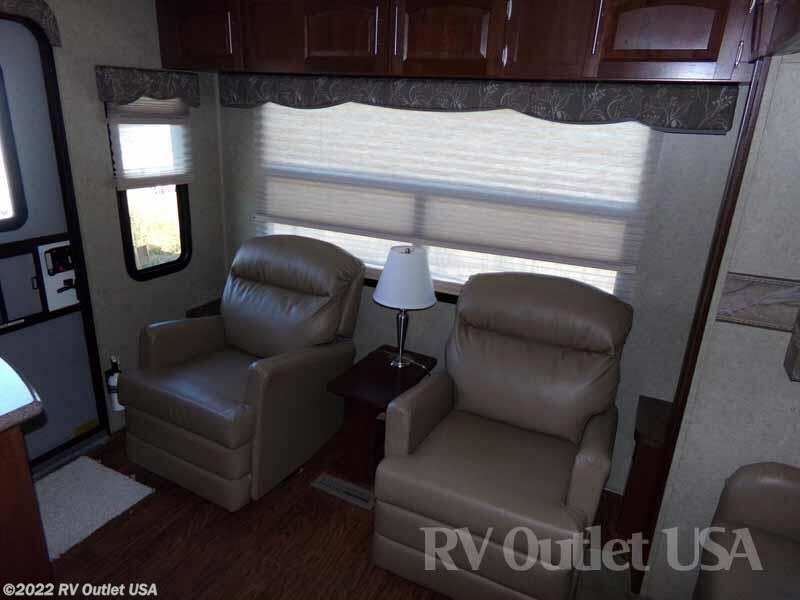 The exterior of this coach is fiberglass with vacuum bonded sidewalls, front and rear floors, and ceiling. 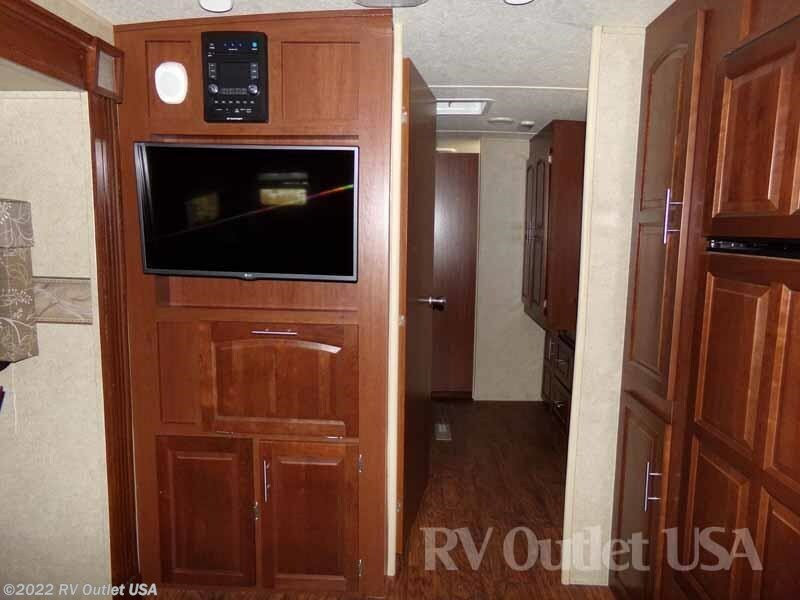 It has the frameless windows, a rear ladder, spare tire, front and rear stab jacks, 6 gallons gas electric DSI hot water heater, exterior speakers, alloy wheels, two entry doors, a 20 foot gametic power awning, a power front tongue jack, an outside shower, a black tank flush, and both slide outs have topper awnings. 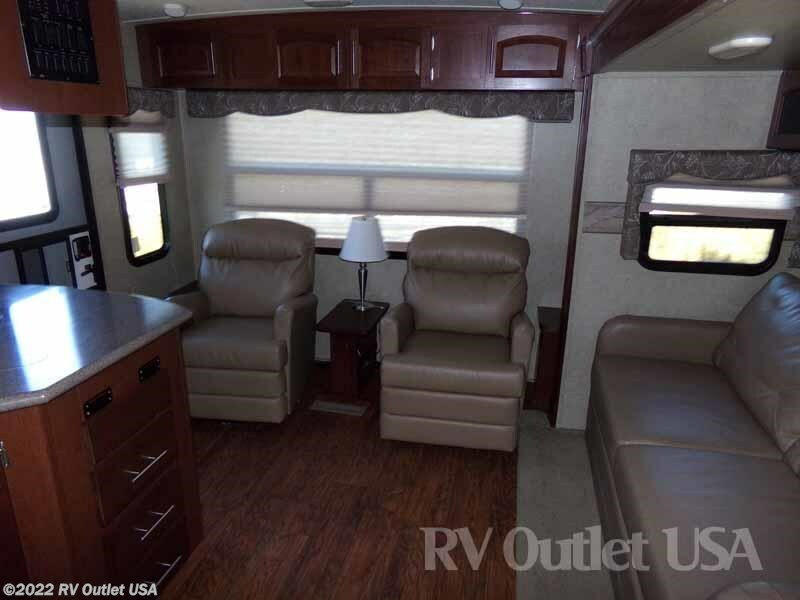 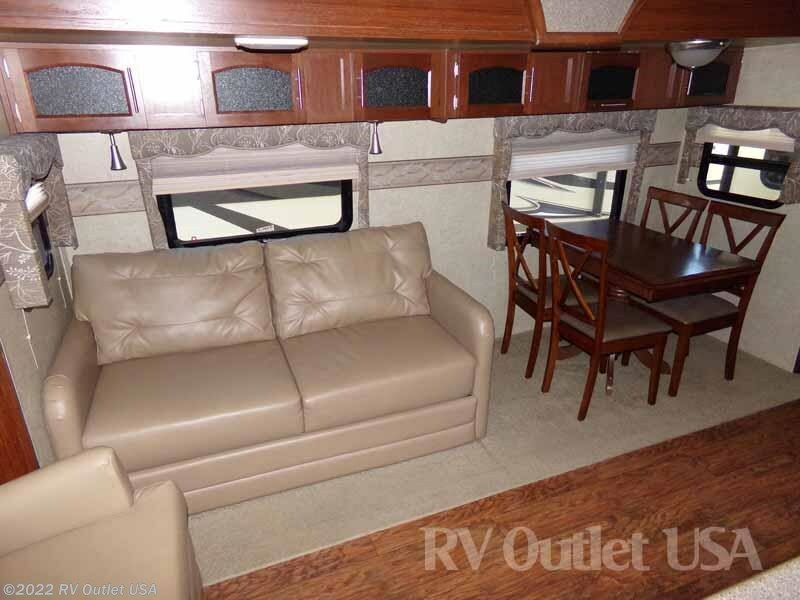 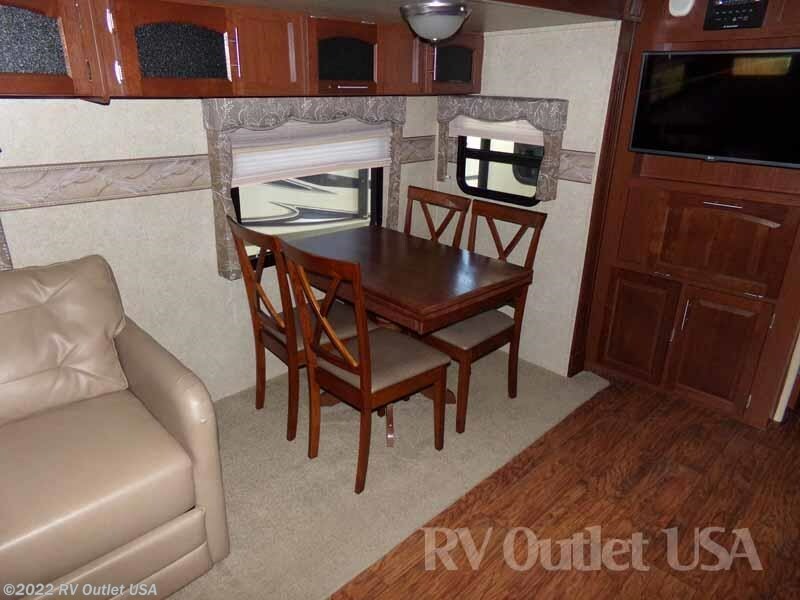 This coach is loaded with all the options and we have it priced thousands below NADA book value. 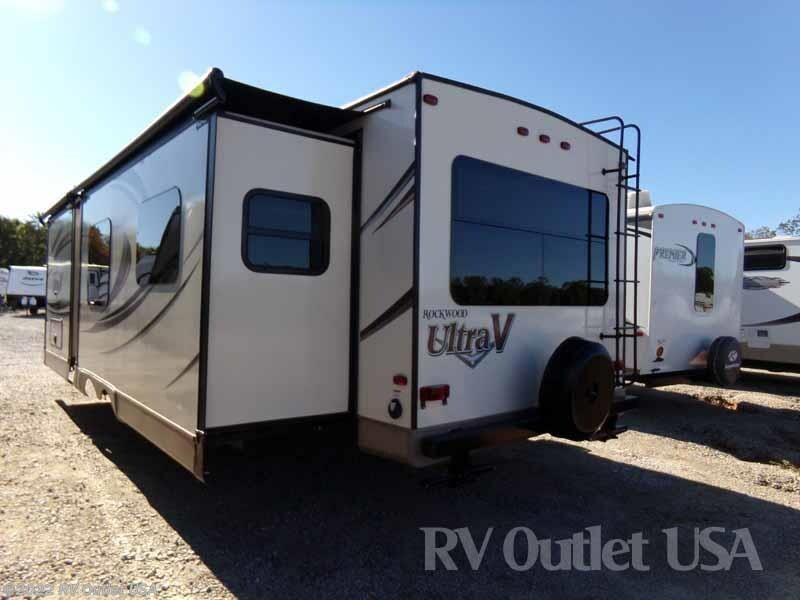 If you have any questions at all please contact us at 888-299-8565 and ask for sales. 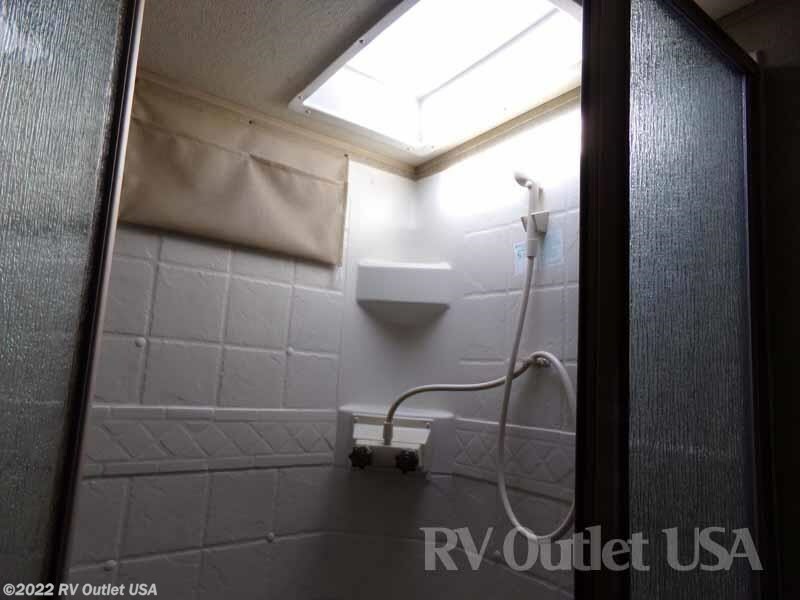 You can also email us at www(dot)rvoutletusa(at)yahoo(dot)com and our direct website is www(dot)rv007(dot)com. 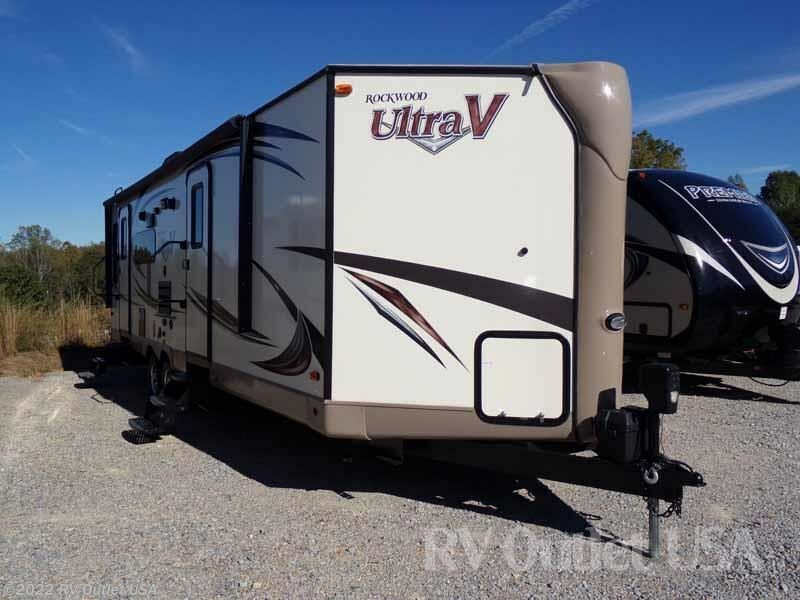 Please keep in mind we have great financing and absolutely no prep or DOC fees!! 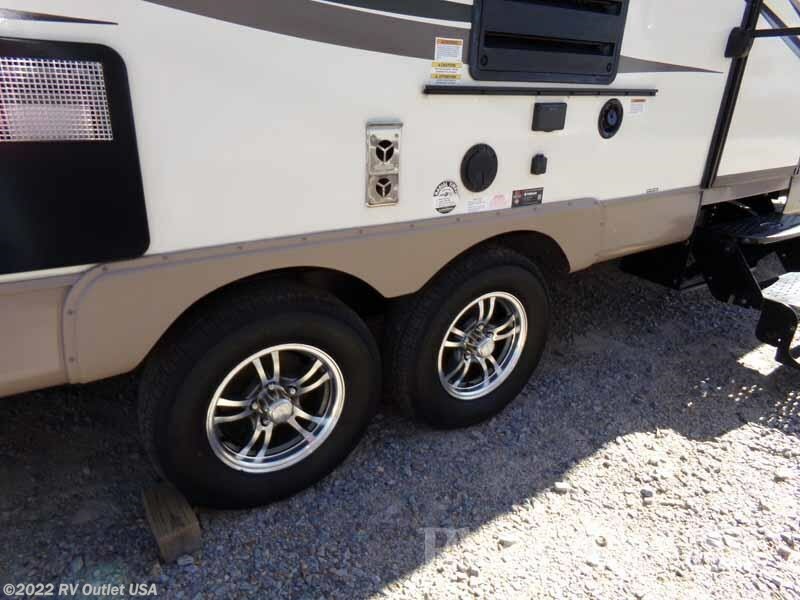 Our customers are also offered HUGE discounts on 5th wheel installation, parts, and accessories.